I have distinct memories of bringing in my copy of Mice and Rifles’ 2006 EP All Kites Up to the station to play on late-night Friday air shifts (which the fabulous Audrey Morton hosts these days). It became quite clear that this was no ordinary indie-whatever band. Their EP created quite a stir for a number of reasons, namely for the band’s alt.-country ferocity. But there was also some undoubtedly potent songwriting to consider, not always for the easily-offended. Johnny Cash would’ve been proud. Cerebral, acerbic, compassionate, reflective, even political, each track was a challenge for the mind. In other words, outstanding. Their 2007 follow-up, Beginner’s Luck, as another attention-getter, and that year the band found itself invited to perform at C3′s Big State Festival in Bryan-College Station, alongside big-timers like Willie Nelson and Lyle Lovett. You know. No big deal. However, despite the critical acclaim, the accolades, and what appeared to be more success looming on the horizon, the band decided to go on hiatus in 2009. Fans like myself were mystified. (I also made it rather clear to frontman/vocalist Kevin Brinkkoeter that the band was missed – because I can.) Thankfully, it was a brief break, and Mice and Rifles are back with Lebe Wohl In Tejas, another intense reminder of just how superb they are. It was no surprise to see Son Volt (along with Johnny Cash, Lead Belly, Carter Family) listed as one of Mice and Rifles biggest influences. But it was also reassuring – reassuring that bands like Son Volt, Uncle Tupelo and even older country and blues acts like Jimmie Rodgers, Carter Family and Lead Belly are not being forgotten by the younger generation of (for lack of a better term) alt-country bands. 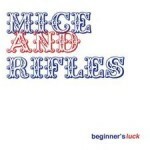 Mice and Rifles is an Austin based band who made a splash in 2007/8 but then disbanded from 2009-2011. They are back with a new EP called Lebe Wohl In Tejas and they seem better than ever. They say that absence makes the heart grow fonder. In the case of Austin alt-country outfit Mice and Rifles, that’s certainly true. 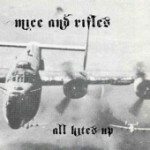 Mice and Rifles formed in 2006, and right off the bat received some local buzz with their debut record All Kites Up. 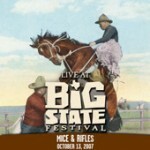 In 2007 the group shared a bill with country heavyweights like Willie Nelson, Tim McGraw, Robert Earl Keen, Lyle Lovett and more at C3′s Big State Festival in Bryan-College Station. Not to be pigeonholed into performing dusty country festivals, in March 2008 the group performed on the Long Center‘s City Terrace as a part of the performing arts center’s “sneak peek” weekend. 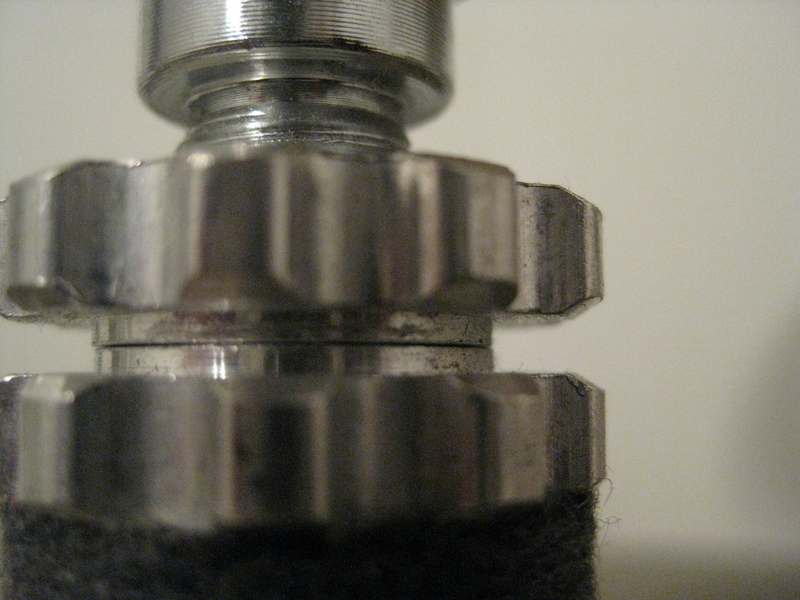 Despite the upward momentum, the group decided to take a break in 2009. Then out of nowhere this past January, Mice and Rifles reappeared on the scene; first with a Free Week performance and then a spot at Stubb’s in February opening for Caitlin Rose. 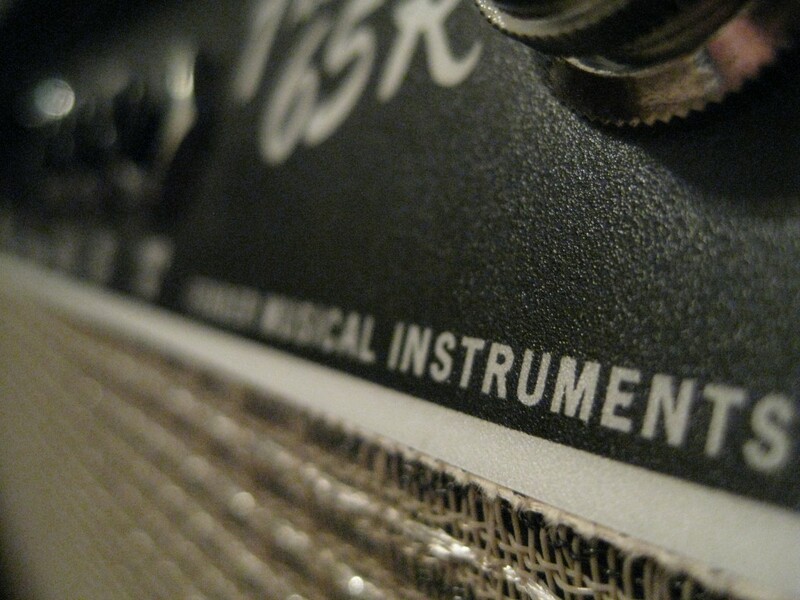 The band is currently working on a brand new album, which is set to release late this year. But you don’t have to wait that long for a listen to Mice and Rifles, because we’ve got you covered with today’s song of the day, “Carefree Americans,” which appears on the group’s 2007 record Beginner’s Luck. Following 2006’s fine All Kites Up, Mice & Rifles’ second EP proves the local sextet more unified and polished, guitars squealing to the fore on ironic anthem “Carefree Americans” and brooding “The Only One.” Though still not quite capturing their live country-rock assault of indignation, Beginner’s Luck maintains its power in the percolating intensity of Kevin Brinkkoeter’s low growl. Seething in a bittersweet scowl and furrowed by Phil McJunkins’ pedal steel, Brinkkoeter’s voice cracks on waltzing closer “Glass Homes” with the acerbic wit of lines like: “Let me digress, to when we first kissed. We were carving stones, while we were living in glass homes.” Before that, “Shall Remain” pensively grapples mortality (“My mind is thinking things that my younger mind would never dare”), and “No Longer Love” churns heartache against resignation. No luck to it; Mice & Rifles fire with steel-eyed precision. Opening bands can often be a wildcard, so it was with great delight that I was treated to the passionate sound of Mice & Rifles last night. Opening for Caitlin Rose, they were the perfect compliment with their fast paced country tunes. Kevin holds his guitar like a rifle the way Johnny Cash once did, confidently banging out tunes ranging from heartwarming, political, to nostalgic. It was a perfect treat! Loaded with dusty, Depression-era country tunes, Mice & Rifles, one of the only alternative Austin acts on the bill, has a few tricks up its sleeve for the occasion. “I figure one of us will make moves on Faith Hill,” fires singer and guitarist Kevin Brinkkoeter. “Next thing you know, Mice & Rifles are on the cover of country-music magazines everywhere receiving a swift uppercut from Tim McGraw.” OTR compared notes with straight shooter Brinkkoeter for the rest of the festival. OTR: I’m excited to see Charlie Louvin; what about you? OTR: Who’s most likely to be packin’ heat – besides Billy Joe Shaver? KB: It’s hard to say with this many country music artists drinking in the heat of October. OTR: What artist is most likely to bring their own barbecue sauce? KB: Again, Willie Nelson. Think about it. The man makes his own diesel these days! Why not just move on to other necessities? 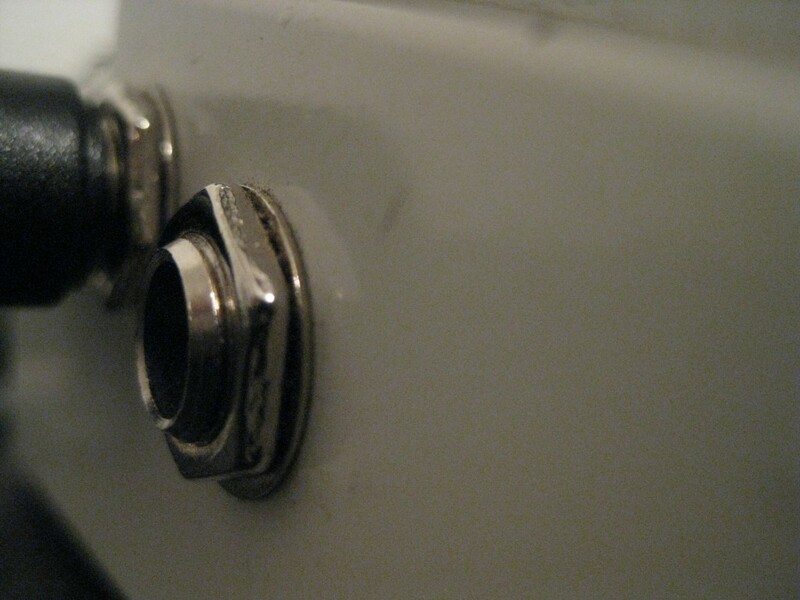 OTR: Who’s most likely to down a six-pack before playing? I’m thinking Miranda Lambert. KB: Our guitarist Kyle Cox. Yeah, I’m talking to you, Nightfist. OTR: What singer is most likely to wind up in a race car? KB: Probably me. I once had a tree jump out in front of my car, which made me punch myself in the face with a cheeseburger. OTR: Kevin Fowler‘s my bet. The tension underlying Mice & Rifles’ debut EP is encapsulated in Kevin Brinkkoeter’s husky voice set against droning keys and swooning guitar. Barren horizons open up only to be collapsed by drums and Brinkkoeter, as with the dark wax and wane of “Telegrams” and “I Can Tell.” “Balance” crackles with an acerbic disillusion of love, while “American Victory” laces its chugging rhythms through a condemning political tirade. Most exceptional is opener “Storms,” with Brinkkoeter echoing both Johnny Cash’s baritone and new local Micah P. Hinson’s weary drawl. And although closing All Kites Up with the Smiths’ “There Is a Light That Never Goes Out” seems dubious, the song is impressively rendered, mirroring Richard Hawley’s blend of Britpop and Americana. Formed in January (2006), this group’s a jarringly sharp entry into Austin’s next-big-alt-country-thing sweepstakes, a contest that seems to have been going on since the cosmic cowboy era. Plain-spoken vocals somewhere between the honky-tonk and the Parish plus wide open Neil Young-esque guitars equals a pure prairie pleasure.